TigerTape II is our latest banner hemming tape. It is our most economical hemming tape. TigerTape II is excellent for hemming any size banner. 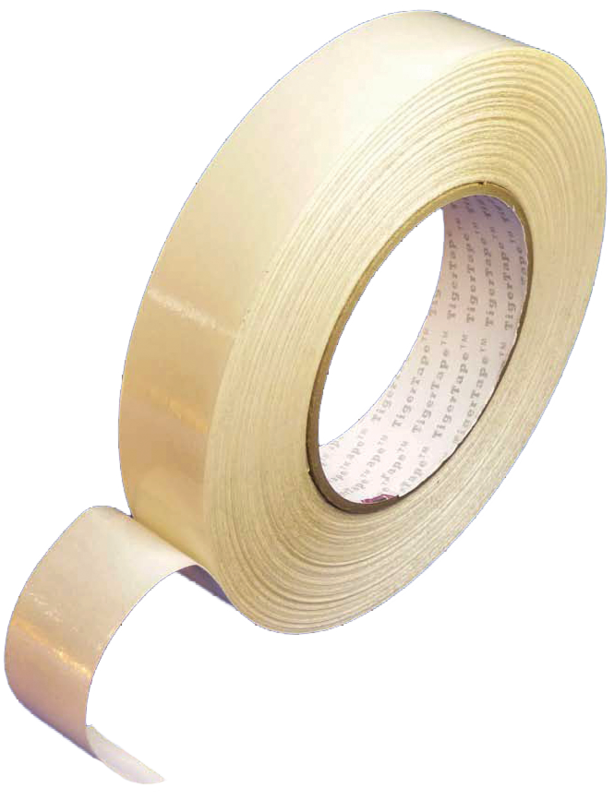 It is a double sided tape great for traditionally hemmed banner edges. We recommend placing TigerTape II along with all sides of the vinyl banner. Once the banner hemming tape is applied remove back liner and fold edges. You can use a rubber roller to really press the folded edges. TigerTape II creates a smooth, crisp banner edge. The reason we fold the edges is to create additional reinforcing strength. Once all the edges are folded, you can apply Banner Ups Clear BravoTabs along the corners and ever 3ft. around edges. Traditionally grommets would be used along the corners and edge, but if you want the best strength, we recommend our Clear BravoTabs. With BravoTabs and TigerTape II, you can create strong outdoor banners. The BravoTabs are like grommets, but you don’t need a machine or tool to install them onto your banner. They are made of durable plastic and have sticky adhesive on the back. Just peel and stick the BravoTabs onto the corners; it’s that easy. TigerTape II hemming tape along with BravoTabs makes it easy to finish vinyl banners. Our team at Banner Ups continually invests in the latest products to ensure your team has the required supplies for mounting banners. We offer a wide range of options and can answer your questions to help guide you in choosing suppliers. To discover more about our hemming tape or any of the leading-class products in our catalog, call us today.